Heart attacks are not as sudden as you may think. Our body sends signals that something is wrong. A heart attack occurs when a blocked artery prevents oxygen-rich blood from reaching a section of the heart. If the blocked artery is not reopened quickly, the part of the heart normally nourished by that artery begins to die. The longer a person goes without treatment, the greater the damage. Symptoms of a heart attack may be immediate and intense. More often, though, symptoms start slowly and persist for hours, days or weeks before a heart attack. Unlike with sudden cardiac arrest, the heart usually does not stop beating during a heart attack. 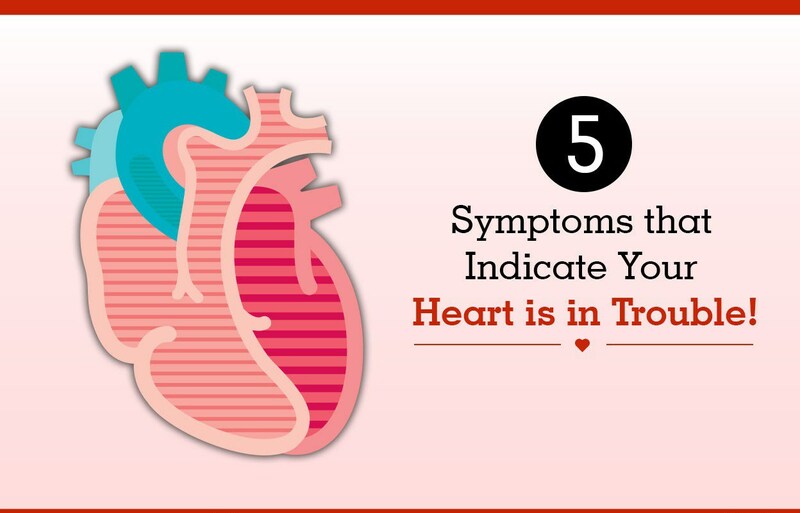 The heart attack symptoms in women can be different than men but this 5 symptoms are common for both sexes and if you have them you need to go to a doctor before is too late. Your body will feel clammy and unwell, and your brain will not be able to function properly. These are also important symptoms that can point to a possible heart attack in the near future. Flu or cold-like symptoms just before the heart attack were some of the signs that numerous heart attack survivors claim they have experienced. A lot of people don’t address this problem appropriately, so it’s good to know this.